Fans of fairy tales who nonetheless wish they involved more proactive female characters will probably be delighted to learn that Freeform (née ABC Family) is developing a sequel series that would see Sleeping Beauty become a warrior princess. 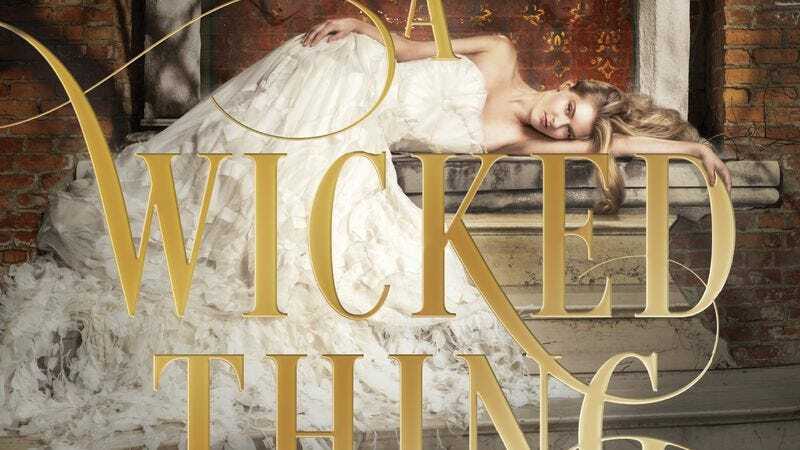 Deadline reports the network is working on an adaptation of A Wicked Thing, Rhiannon Thomas’ YA novel that sets Princess Aurora’s “happily ever after” in a divided kingdom. The hour-long drama is tentatively titled After, thereby ditching the fairy tale’s ostensibly happy ending. After will be produced by Tommy Lynch (The Secret World Of Alex Mack), who will also write the series along with Adam Lash and Cori Uchida, who have worked on episodes of Helix and Heroes Reborn. If After didn’t lose you with that Heroes Reborn association, you might be interested to learn that the source book sees Princess Aurora awakened with a kiss from a strange prince (who smooches the unconscious?) only to find her family “long dead and her kingdom taken from her.” Rather than accept defeat, pop an Ambien, and return to her slumber, the princess dons some armor to reclaim what’s hers. Despite the prince’s helpfulness, Aurora has some doubts about marrying a stranger, which are exacerbated by the “handsome rebel” she meets. If all goes well, After will join A Cinderella Story: If the Shoe Fits in Freeform’s retelling lineup.